A multi-responsive D-A type compound (CYQ) based on pyrone and triphenylamine was designed and successfully synthesized. The target compound exhibited distinct aggregation-enhanced emission (AEE) effect. Solvatochromic experiment and density functional theory (DFT) indicated CYQ possessed excellent intramolecular charge transfer (ICT) ability. Besides, its mechanofluorochromic property (MFC) was found with a 37 nm redshift. Powder wide-angle X-ray diffraction (PXRD) and differential scanning calorimetry (DSC) measurements were performed to demonstrate the transformation from the crystalline to amorphous states upon grinding. Surprisingly, CYQ displayed a hypersensitive response to trace water in organic solvents with an excellent detection limit as low as 0.0096% in tetrahydrofuran (THF). Furthermore, it was found that the fluorescent intensity of CYQ declined progressively upon humidity rise, and its color change can be witnessed by naked eyes. Therefore, the relative humidity (RH) sensing strategy guarantees the AIEgen to become a colorimetric sensor under various conditions. Yuqi Cao is a PhD student at Tianjin University, under the supervision of Prof. Ligong Chen. Currently, she is working on the development of aggregation induced emission mechanofluorochromic materials. Bowei Wang is a lecturer at the School of Chemical Engineering and Technology, Tianjin University. His current research interest includes catalysis, functional materials, carbon materials, and synthesis of fine chemicals. Ligong Chen is a professor at Tianjin University. He obtained his PhD degree from University of Nottingham. His research includes aggregation induced emission mechanofluorochromic materials, functional carbon materials, and fluorescence probes. 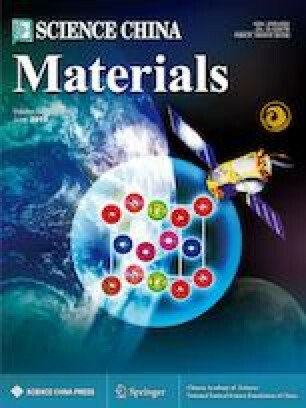 Supplementary material is available for this article at https://doi.org/10.1007/s40843-018-9371-y and is accessible for authorized users. 本文设计并开发了一种以吡喃酮和三苯胺为母体的多刺激响应D-A型化合物(CYQ). 目标产物表现出优异的聚集诱导发光增强性能(AEE). 溶剂变色实验及密度泛函理论表明CYQ具有极强的分子内电荷转移(ICT)性质. 粉末广角X射线衍射(PXRD)及差式扫描量热法(DSC)证明了在外力作用下, 分子由晶态向无定型态的转变. 研究发现, CYQ对有机溶液中的痕量水非常敏感, 在四氢呋喃(THF)中可达到极低的检出限0.0096%. 除此之外, 随着湿度的增加, CYQ的荧光强度呈现逐渐下降趋势. 这一相对湿度检测法为该AIE材料成为不同环境下的比色探针提供了可能. We are grateful for the financial support from the National Natural Science Foundation of China (21576194).